Bottom Line: A sweet and layered sipping rum that is sure to please. 85 • Génépi Savio Nature Liqueur 40% (Italy) $26.00. 86 • Génépi Savio Paolino Bio Liqueur 42% (Italy) $29.00. 84 • Malecon Licor de Ron 35% (Panama) $29.00. 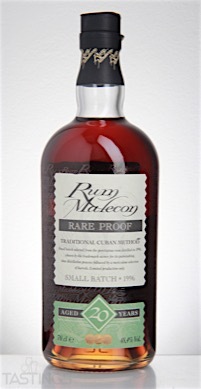 93 • Malecon Rare Proof 20 Year Old Rum 48.4% (Panama) $99.00. 91 • Malecon Seleccion Esplendida 1987 Rum 40% (Panama) $150.00. 93 • Malecon Rare Proof 13 Year Old Rum 50.5% (Panama) $52.00. 97 • Malecon Seleccion Esplendida 1979 40% (Panama) $299.99. 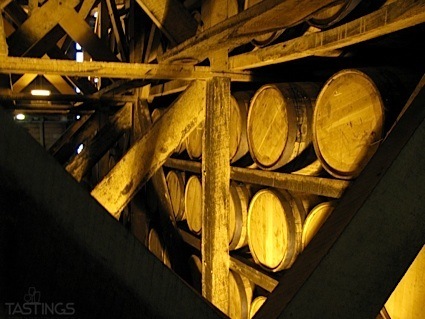 91 • Malteco Selección "1987" 28 Year Old Rum 40% (Panama) $149.00. 93 • Malteco Reserva del Fundadore 20 Year Old Rum 41% (Guatemala) $58.00. 89 • Ron Malteco 5 Anos Dark Rum 40% (Panama) $19.90. Malecon Rare Proof 20 Year Old Rum rating was calculated by tastings.com to be 93 points out of 100 on 4/18/2016. Please note that MSRP may have changed since the date of our review.